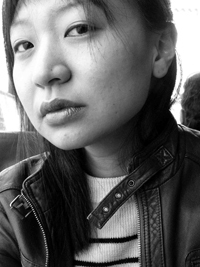 Celebrated poet Cathy Park Hong will read from her works Thursday, March 10, and will meet with University of Wyoming students as part of UW's MFA Program in Creative Writing Visiting Writers Series. Hong's presentation is at 7 p.m. at Second Story Books, 105 Ivinson St. The event, free and open to the public, will feature a book signing with the author after the reading. She also will meet with UW students in the MFA Program. Hong is an assistant professor at Sarah Lawrence College in Yonkers, N.Y., and is a regular faculty member at the Queens MFA program in Charlotte, N.C.
She has been praised for the lyrical blending of political and personal concerns in her writing, which the literary magazine, "The Believer" has described as "a polyglot explosion of unique individual and broader social concerns." Hong's first book, "Translating Mo'um," was published in 2002 by Hanging Loose Press and her second collection, "Dance Dance Revolution," was chosen for the Barnard Women Poets Prize and was published in 2007 by WW Norton. Hong is also the recipient of a Fulbright Fellowship, a National Endowment for the Arts Fellowship, the New York Foundation for the Arts Fellowship and a Village Voice Fellowship for Minority Reporters. Her poems have been published in many publications, including Poetry, Paris Review, Conjunctions, McSweeney's, Harvard Review, Boston Review, The Nation, American Letters & Commentary, Denver Quarterly, and other journals. She also has reported for the Village Voice, The Guardian, The New York Times Magazine and Salon. "The MFA graduate creative writing program serves to mentor a new generation of writers. Each semester the MFA program's Visiting Writers Series brings distinguished writers and emerging new voices to Wyoming," MFA Program Director Beth Loffreda says. "The program is fortunate to add Hong to our list of recent guests, which includes Claudia Rankine, Don DeLillo, Kate Greenstreet and John D'Agata." For more information, visit the MFA website at www.uwyo.edu/creativewriting or e-mail Gwynn Lemler at cw@uwyo.edu.